1. Religion is not a private matter, when and in so far as it is not only related to the individual and her/his relations to God (or whatever other term is used for the unknown), but also demands responsibility for an appropriate societal environment corresponding to the respective religious teaching. The same also applies to those who have an agnostic or atheistic view and who postulate freedom from religion, and they also struggle for a societal content which goes along with their conviction. 2. In a democracy, believers and non-believers will use all democratic instruments to influence and to shape the societal and political opinion and decision-making processes, in order to promote and implement their religiously or non-religiously motivated concept of state and society. 3. The consequence of the two above-mentioned aspects is that religion and its negation are visible in the state and society, and that the public space is neither entirely free, nor can it be kept free of religion or its negation. It has become apparent that secularization, or secularism, has blurred this view. The fact is that religion and a life of conformity with a religious doctrine is or has remained of significance for people. Religion and the negation of religion are thus present in state and society. In fact, more than this, they are “interwoven” with state and society. This results quite simply from the fact that a person with his/her religious or non-religious conviction is simultaneously a member of society and a citizen of the state. Of course, it must be pointed out that this presence of religiousness, this “interwovenness” with state and society has a clear boundary: The state is and has to be neutral in religious and world-view matters. The consequences of this neutrality are the principle of parity, which is the principle of the equal treatment of religions and religious communities, and religious pluralism, including agnostic and atheistic movements that are also protected by the fundamental right of religious freedom. Our societies are multi-religious ones with manifold forms of religious presence. In 2001, the World Christian Encyclopedia recorded almost 10.000 communities representing different religions and diagnosed an upward trend. However, such documentation is abstract in character. A survey in the small city of Graz (230.000 inhabitants) permits a more concrete experience. In the publication “What Graz believes. Religion and spirituality in the city”, the author presents 72 churches and religious communities which are active and a further 30 more or less inactive ones. Furthermore, the survey shows that the people of Graz who are without a religious confession are the second largest group after the Roman Catholics. Religions, religious communities and believers undertake religiously motivated activities which are visible to the public. These activities are often a source of controversies which are sometimes quite significant. Examples of this are the building of places of worship such as Mosques and Kingdom Halls of the Jehovah’s Witnesses, religious symbols such as the cross in the classroom or parliament, the Kipa, the headscarf, Burka and Niqab, etc. Furthermore, the religious origin or background of customs and traditions has become more clearly visible and has thus become more challenging in character. Examples of this are the controversies surrounding Santa Claus who brings presents to children, the Christmas tree, the Christmas crib, religious holidays, etc. As I mentioned earlier, a religion both possesses and exercises influence on politics and on society. This is shown on the one hand by an instrumentalization of religion by politics. Bassam Tibi speaks in this context of the “Religionising of politics”. On the other hand, religion also instrumentalizes politics in order to implement religious convictions in state and society and in order to exercise power. As far as religious pluralism is concerned, I want to draw your attention to the jurisdiction of the European Court of Human Rights. In the judgment of the court in the case of “Masaev vs. Moldavia” in May 2009, based upon Article 9 of the European Convention for Human Rights, the court once again underlined the necessity “to maintain true religious pluralism, which is inherent in the concept of a democratic society”. Furthermore, I would like to mention the jurisdiction of the court pointing out that Article 9 of the Convention anchors not only what is called “positive” religious freedom (the freedom to be religious), but also “negative” religious freedom (the right to freedom from religion). In the context of negative religious freedom, I would like to underline a proposal which was made some weeks ago in Austria: Agnostics and Atheists, as well as those who refuse to belong to a particular confession but understand themselves as religious or spiritual, should develop symbols for their conviction. If this were the case, disputes concerning symbols, for instance in public schools, could be deactivated. Then, symbols which stand for a certain religion could hang besides symbols which stand for negative religious freedom. Religious pluralism and its consequences have led to conflicts that cannot remain without effects on the coherence of society. The fields of conflicts are multi-dimensional: conflicts between a religion on the one hand and society, science, policies, and the state on the other hand; conflicts between different religious movements or between the different wings within a single religion; conflicts between religion on the one hand and agnostic or anti-religious movements on the other hand, etc. The “discharge patterns” of these conflicts are multifold. They range from heavy disputes and civilized activities designed to express one’s position with respect to “hate speeches”, discrimination, phobia and acts of violence. It is obvious that de-escalation and maintaining societal coherence are necessary. However, not all proposals which are made in this context appear to be useful. I am thinking here of the concept of “defamation of religion”, the invocation of a Christian (European) identity or “Leitkultur” (leading culture) and the reference to a binding canon of values which are intended to hold state and society together. It would be highly problematic to simply prohibit the defamation of religion. Such a prohibition would restrict other fundamental rights, such as the freedom of expression, but also the freedom of arts and sciences. In the worst case, one could derive from such a prohibition the right of a state to determine which ideas, beliefs and world-views are acceptable and which are not. In this context, I want to add two points. On the one hand, the language and other forms of articulation used by the opposing sides should be guided by self-restraint. In a short summary of the “Report of Freedom of Religion and Religious Insult of the Commission of Venice” of October 2008, the following statement was made: “But reasonable self-restraint should be used if constructive debate is to replace the dialogue of the deaf”. On the other hand, we have to put up with critique even if it is a pointed one. This has to be the case especially in the context of artistic articulations. I want to mention the Mohammed cartoons or the tryptichon by the French artist Bettina Rheims entitled the “Crucifixion” representing a female as crucified. In short, we also need protection from intellectual provocation. It is true that Christianity has had and still has great influence in Europe. However, to declare Christianity as the leading European culture or to speak of a Christian European identity or of the “Christian-occidental origin” of our culture is ideological, because it neglects the different cultures which have contributed to Europe and its identity. Wolf Lepenies used a religious image to characterize this reality. He said that neither Europe nor Islam have a pure soul. Anyway, we have to realize that the ideology of a Christian Europe is a breeding ground on which non-Christian religions are discriminated against on an everyday basis. A secular state is based upon law. The “rule of law” is conditio sine qua non to exercise power. Moreover, one of the most important purposes of the state is to ensure the freedom of its citizens and the boundaries of this freedom through law and in the scope of law. The inalienability to be a constitutional state seems to fade away. One of the results of migration and Islam in Europe is that we are now speaking increasingly of Europe and the state as communities of values and that it is these values that (should) more or less hold together state and society. 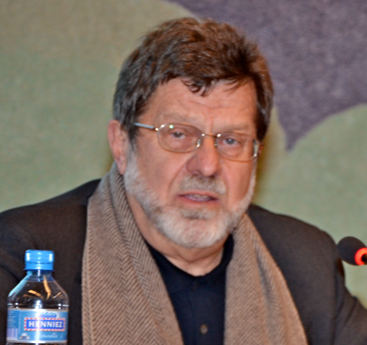 Whenever the significance of values for the coherence of state and society is discussed, it is common to cite Ernst-Wolfgang Böckenförde when he says: “the liberal secular state lives on premises that it cannot itself guarantee”. However, those who refer to Böckenförde disregard the context in which he said this. In the situation of a heterogeneous variety of ethnicities, religions and cultures, he calls for the stabilization of a secular order of freedom, for which freedom-related, but also freedom limited laws, are required, as well as a secular order of freedom which demands the strict enforcement of law. When I talk about a secular order of freedom secured by law, such a vision does not neglect the importance of values in state and society, but insists that if we refer to values which are binding for all, these values have to be law-embedded values. Such usually constitutionally guaranteed values are human dignity, equality, human rights and democracy, as well as the religious neutrality of the state, at least in the sense that the state is not allowed to enforce a certain religion by active means. Of course, such a secular order of freedom does not solve all of the problems which occur in the context of a multi-ethnic, multi-religious and multi-cultural society. I just want to mention two facts: First, the models of separation of state and religion and the models of democracy are different throughout the states in Europe. Second, the European Court of Human Rights ruled – recently also in the case of the cross in Italian schools – that the signatories to the European Convention on Human Rights have a margin of appreciation in the implementation of the rights of the convention, because of their national specifiticies. If we think about de-escalation and social coherence, the fight against religious discrimination and the means to ensure equal treatment irrespective of religion have to stand in the front line. At least two challenges have to be mentioned: First, non-discrimination and equal treatment have to be secured by the law. Second, we need an anti-discriminatory societal and political environment in which politics, the media, educational institutions, parents and families, but also religions (especially the mainstream religions), are and have to be responsible. Often, tolerance and dialogue are mentioned as needs in the context of our multi-ethnic, multi-religious and multi-cultural societies. Yet the general postulate has to be concretized. First, the negation of or even offence to the values which are embedded in our constitutions cannot and should not be tolerated. Second, one of the most important prerequisites of a fruitful dialogue is that I do not behave like one who is in the position of an absolute truth. This does not mean that I am not allowed to have and express convictions. It just means the acceptance of the reality that in our world our cognition is per se limited and, therefore, nobody can be in the position of an absolute truth. In this context, I would like to call upon another postulate. The activities of religions and religious communities should be guided by the principles of self-restraint, especially if they claim their right to undertake activities in a public setting. In saying this, I do not want to be abstract. Areas of self-restraint could be the building of Mosques – actually we have examples of self-restraint in this case – and displaying the cross in public schools. I would appreciate it very much if Christian denominations would refrain from shouting with joy when considering the latest ruling of the European Court of Human Rights in the case of Lautsi and Others vs. Italy, and rather invite other denominations to place their religious symbols in public buildings side by side with the cross. In my forgoing statement, I referred a few times to the law, especially in the context of embedded values, anti-discrimination and equal treatment. But the law can be changed, and this not only by the decisions of parliaments. In a democracy, citizens have the right and the means to influence and to direct the political decision making process, which in the end leads to laws. And in some of our democracies, such as in Switzerland or Austria, citizens have the possibility to express their will in a binding plebiscite. This could jeopardize law-embedded values. We should strongly promote the idea that a democracy has two pillars. The first one is that political decisions are usually legitimated by a majority vote, this either in the parliament or in direct-democratic procedures. The other pillar is the fundamental human rights which are part of our constitutions and which protect every single individual, as well as minorities. The more people there are in our societies who refuse to live in a multi-ethnic, multi-religious and multi-cultural society, the more they will use their democratic means to secure what they define as the leading culture. This could lead to “legally” underlined discrimination against minorities. Therefore we need a dam. I propose to implement a so called “eternity-clause” in our constitutions, like the Germans have in Article 79 § 3 of their constitution, the “Grundgesetz”. § 3 says inter alia that the principles which are laid down in Article 1 of the Grundgesetz cannot be changed legally. And Article 1 of the Grundgesetz says that human dignity and fundamental human rights are inalienable and inviolable, a conviction and dedication which we already find in the American Declaration of Independence of 1776 and in the French Declaration of the Rights of Man and of the Citizen of 1789. *Prof. em. Dr. Christian Brünner, University of Graz, Institute for Austrian European and Comparative Public Law, Political Sciences and Public Administration. Bruenner is president of FOREF Europe. This entry was posted in Human Rights, Religious Freedom, UN. Bookmark the permalink.